Despite the naturally stable design of our Fatyak kayaks, the importance of good balance cannot be emphasised enough. Our kayaks cater for all shapes and sizes of paddler, but sometimes even the most seasoned kayak users can sympathise about the wobble one might experience if stepping into a floating kayak. 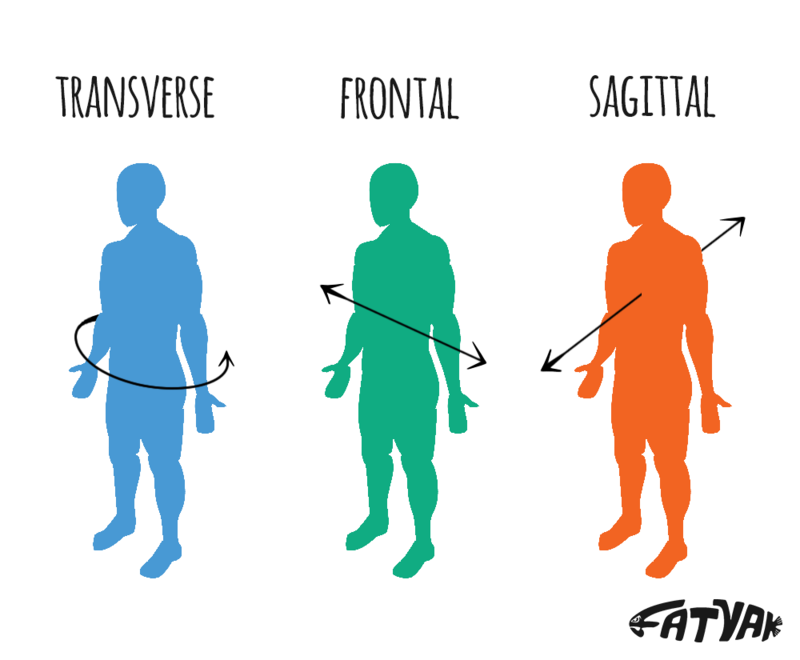 It’s important to include all three planes when training to avoid the possibility of developing muscle imbalances. Some simple balancing acts that will help you to stay stable on a kayak would logically start from one requiring the least amount of compensation in order to retain balance, and would progress upwards and onwards – for example, from sitting on a chair, to standing with feet apart, to feet together, to one legged, and so forth. Fabio Comana with ACE Fitness does an excellent job of demonstrating some simple exercises incorporating all 3 planes that could really help to develop skills for stable fatyaking! If you’re interested in some local training and outdoor expertise, our friends at Exmoor Adventure and Channel Training can certainly offer some great assistance! This entry was posted in Hints and Tips, Uncategorized and tagged fitness sport exercise programme program training for kayak canoe. Bookmark the permalink.